ZX Spectrum Next Kickstarter Launched! It's even designed by the original's designer, Rick Dickinson! 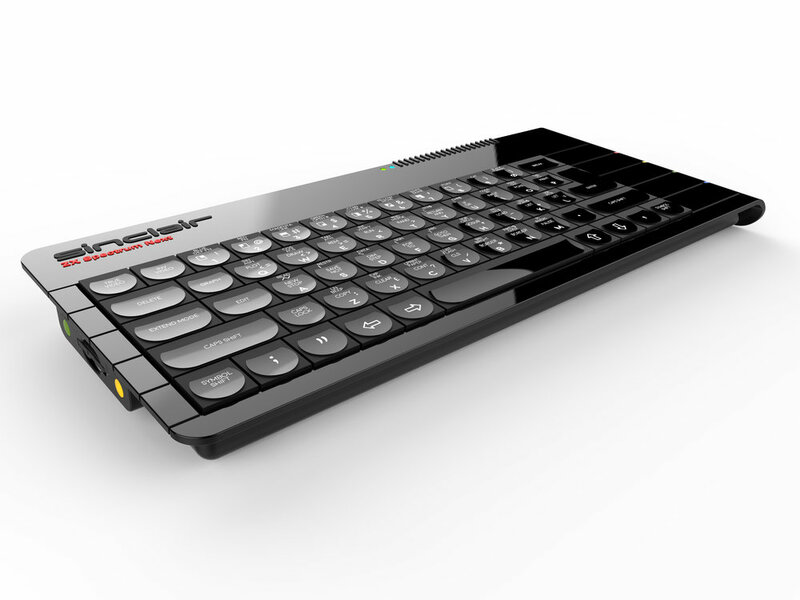 After months of anticipation, the ZX Spectrum Next Kickstarter campaign has been launched. I was fortunate to see a prototype in action at the Revival Solstice event last July when Henrique gave a talk on the project and was very impressed. After some high profile crowdfunded retro gaming failures over the last couple of years it's easy to be sceptical, but these guys are not only doing everything right, but all indications are that their hearts are in the right place too. I managed to snag an early bird standard edition pledge before all the spots were gone within a mere few hours. They're looking to raise $250,000, which is certainly a hefty amount, but as of writing they're almost a quarter of the way there and the positive buzz in the retro community in the lead up to this suggests they won't have too much trouble crossing the line (fingers crossed! ).